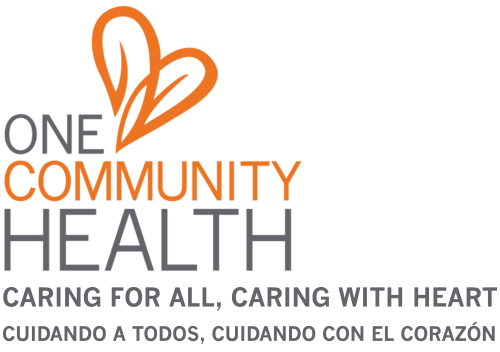 One Community Health is a vibrant, growing organization. Many people choose to work for us because they appreciate our focus on whole-person health and their values align with our patient-centered, mission-driven care. In our rural health care setting, we offer the best in terms of modern services and an integrated approach to whole-person care. We bring our hearts and our heads to the jobs we perform, and this culture-wide mindset is a big part of what makes us unique in what we do and who we are. A wonderful camaraderie exists among our teams, making this an exciting and collaborative place to work. The awe-inspiring Columbia River Gorge and the majestic splendor of Mt. Hood offer incredible recreation, scenic beauty and a fabulous quality of life. Choose One Community Health, and you'll find it's a win-win in terms of where you work and live. What qualifications do we look for? To name a few, we look for an appreciation for whole-person health care, effective and professional communication, strong customer service skills, the ability to problem-solve, and assets that contribute to a clearly defined team-based culture that puts patients in the center of their care. We seek those who bring a sensitivity to privacy, respect for diversity, attention to detail, savvy and effective knowledge of various software applications. For some positions, bilingual English/Spanish is preferred or we may ask for your willingness to learn. What if an opening is not currently listed? We reference resumes on file for possible fits as opportunities develop. You are also welcome to check our website for updates on opportunities. Current health care reform makes this is a dynamic and creative time at One Community Health, which has had a track record for growth and expansion over the past 30 years, given it's a wonderful place to work and an effective way to contribute to a healthier community. What sort of benefits do you offer? In the Columbia River Gorge, we strive to be the employer of choice. We put our people first and provide a generous benefits package, aimed at helping our employees achieve a healthy work-life balance. How to Apply: View open positions here. Click on the position of interest and follow the application process online. Postings to continue until positions are filled. Our Health Centers are eligible for National Health Service Corps loan repayment and scholar programs and Oregon Rural Health Tax credit . One Community Health is an equal opportunity employer and provider. You may email careers@onecommunityhealth.org should you have questions. To learn more about the area, visit the Hood River Chamber of Commerce and The Dalles Area Chamber of Commerce web sites.